Is your deck safe for barbecue season? The summer is almost upon us and the tantalising smell of barbecued food is beginning to drift through the air across the UK. 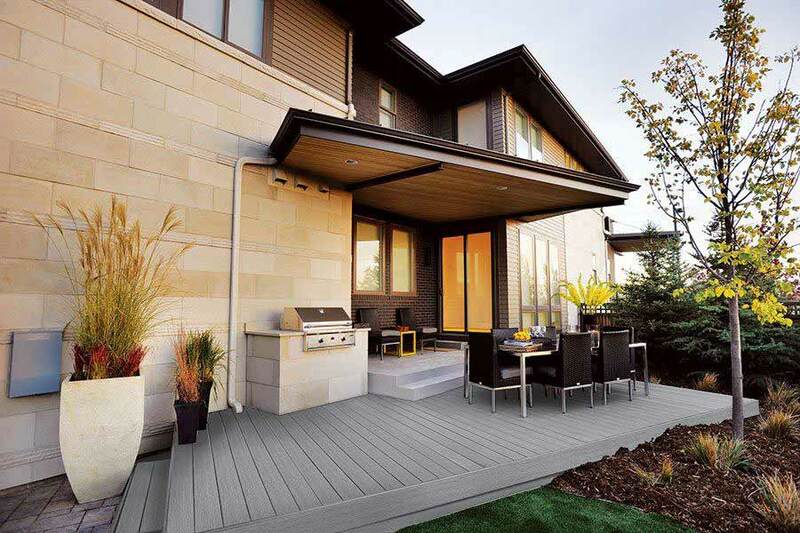 But before you invite the neighbours round for a cookout, it is vital to make sure your deck is ready to accommodate them. This is perhaps the best time of year for using your deck, and many of us like nothing more than to have friends or family round for an al-fresco meal or drinks. If it has been a few months since you last used your deck, it may be wise to give it a safety check. Here are a few key points to consider when assessing your deck and investigating ways to make sure it can be used by everyone without having to worry about slips, trips or falls. In countries like the UK, where we get plenty of rain across the course of the year, a build-up of moss or algae on the deck can create a hazard for people using it, even when the weather is dry. 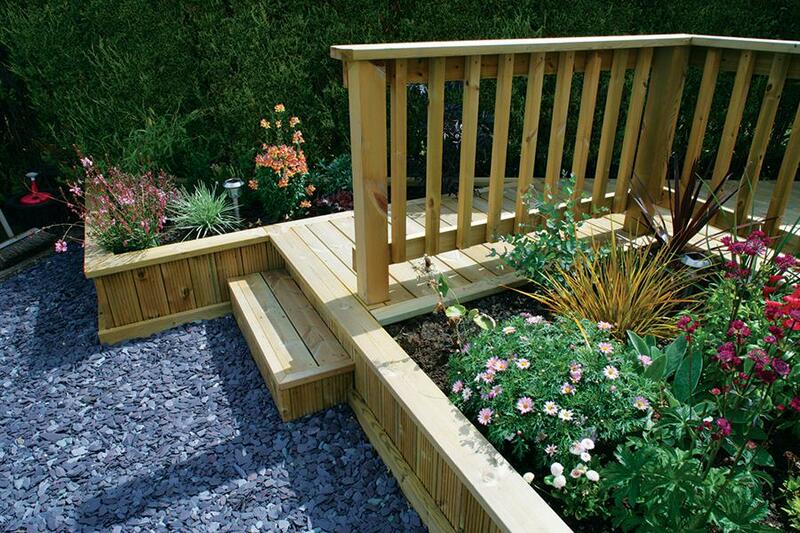 This is why low-slip decking has become a popular choice. 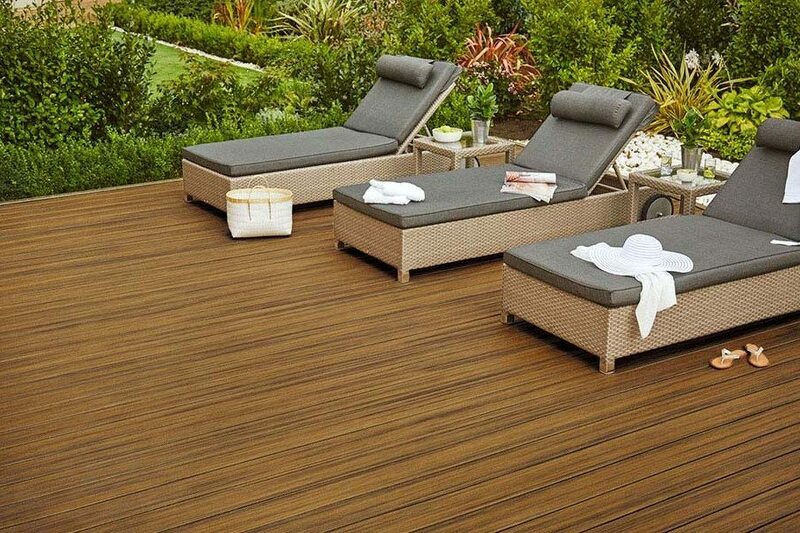 If your existing deck doesn’t feature low-slip boards, you can purchase moss and algae-resistant, anti-slip decking strips that screw to the top of your existing deck boards to provide better grip and reduce the risk of slips. 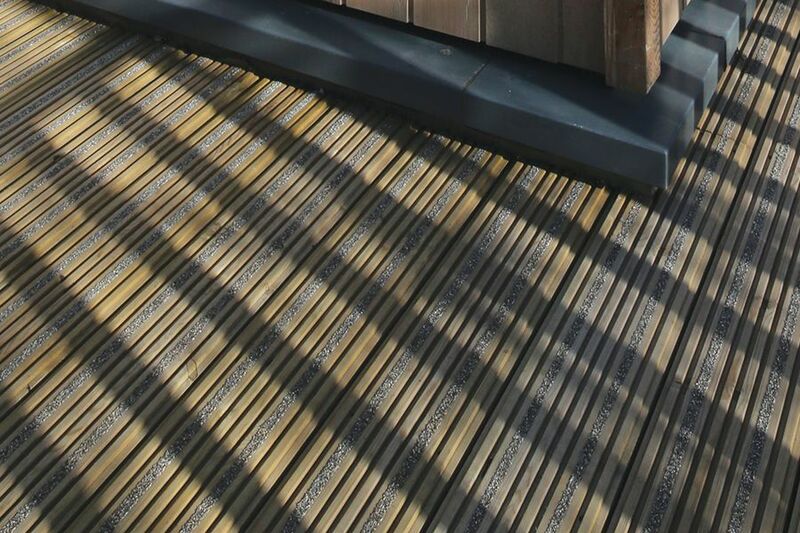 If you’re planning a new deck and want to make sure it is safe to walk on in all weathers, low-slip composite deck boards like Trex Contour offer a good solution. They have a textured surface and are more resistant to mould and mildew because of their protective shell, and can be washed down easily to remove any residue. If your deck is raised, built on multiple levels, or adjacent to water features, you might want to consider adding railings to keep children safe and provide everyone using your deck with support, should they need it. 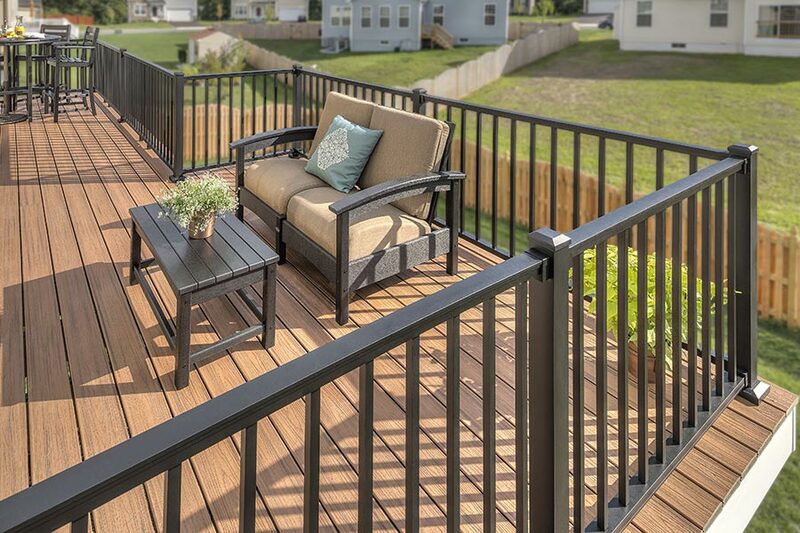 Adding railings to a deck is surprisingly easy, and the materials needed to create handrails with balusters, spindles or caps are widely available. UK Building Regulations offer guidance on commercial and public deck railings, stating that low-level decks (up to 300mm above ground level) should feature balustrades with a minimum height of 900mm on stairs and landings, while high-level decks (over 300mm above ground level) should feature balustrades with a minimum height of 900mm on stairs and 1100 on landings. If solid wood railings aren’t in keeping with your deck, then metal railings offer a durable solution and are easy to colour coordinate with their surroundings. For a low-maintenance option with a softer feel you might also want to consider composite and vinyl railing systems. Glass panels and cables can also create a sleek look on your deck – particularly if your deck looks out onto an attractive view – but these options can pose a safety hazard to young children. Accidents on or near your deck are all the more likely to happen in low light, but you can help people to stay safe when you’re sitting out after dark by adding a little illumination to your garden. 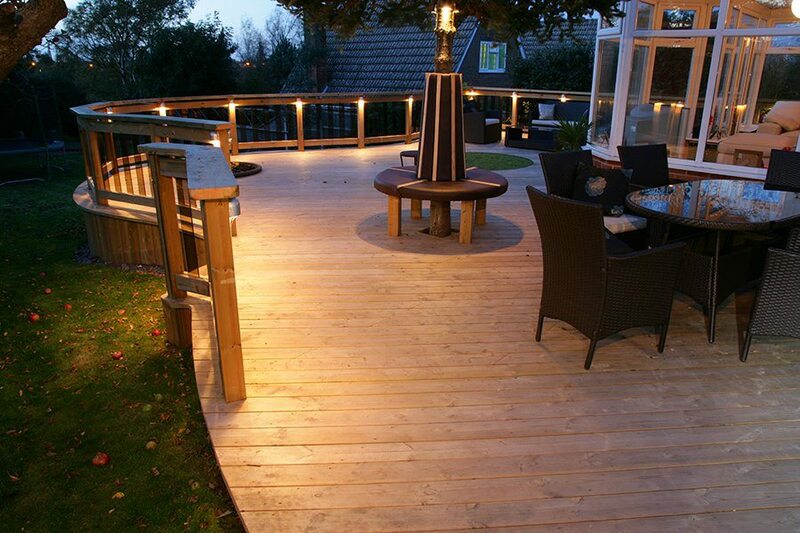 Decking lights are available in a range of styles and types, including LEDs and halogen lamps that can be recessed into your deck or installed underneath railings. LEDs are a good choice from a safety perspective due to their low heat output, which makes them safe for you, your children and your pets to walk on. They also use less electricity than halogen bulbs, so you can use them whenever you like without worrying about spiralling energy bills. Deck lighting kits are often advertised as ‘plug and play’ but it is wise to consult a qualified electrician before attempting a DIY installation, so that you can get advice on the best type of cable to use and ensure your set-up is weather-proof. Keeping your deck well swept, clean and dry is one of the most effective ways to prevent trips and falls that are so often caused by leaves or a build up of mould, moss or algae. Use a stiff-bristled brush to sweep your deck down after rain has fallen on it, and if there are signs of mould or algae you can hose it down with a little soap. For stubborn dirt or mould you can use a power spray (with care if your deck is made of softwood) or use a specialist deck cleaning agent to take care of the problem and leave your deck safe for a safe summer of entertaining.